Are you a graduate of the University of Plymouth? Update your details to hear about free alumni events, benefits and services. Updating is easy, please take a few moments to fill our short contact form, login to Plymouth Connect or contact us at alumni@plymouth.ac.uk or +44 1752 588020. Like us on Facebook, follow us on Twitter and join over 9,000 of your fellow alumni on our LinkedIn Group. Organising a reunion is a great way of re-connecting with fellow graduates from your subject area or year group. Perhaps you’re approaching a special milestone – such as ten years since graduating – or you'd just like to return and see the exciting new developments on campus. Whatever the reason, a reunion offers a great excuse to get together. And we’d be delighted to help you make the most of your special event. "It was wonderful to be back in Plymouth, and we were all blown away by all the fantastic improvements to the University. It brought back lots of fantastic memories and I think 25 people went away with some rekindled friendships. Even the weather was kind to us. We look forward to coming back again soon." - James Walters, class of 1991. If you're thinking about arranging your own reunion, please get in touch by emailing alumni@plymouth.ac.uk or calling +44 1752 588020. We'll be more than happy to discuss your ideas and support the planning and promotion of your event. Find out how we can help you below. We can help you contact graduates you may have lost touch with from your subject and/or year group. Social media is also a great way of finding 'lost alumni' and we can use our networks to help you. We can recommend great places to eat on the campus and in the city so that you can make the most of the delicious food on offer locally! Promote your reunion on our alumni webpages and in our e-newsletter Evolve. We can provide you with a map and a mobile app to help you to navigate the campus. Come back and visit your old haunts, reminisce in the SU and see the exciting developments across campus. You might want to have a picnic in Drake's Place Gardens, recently improved thanks to £1.4m funding from the Heritage Lottery Fund and Big Lottery Fund. Or, see what events are taking place on campus. 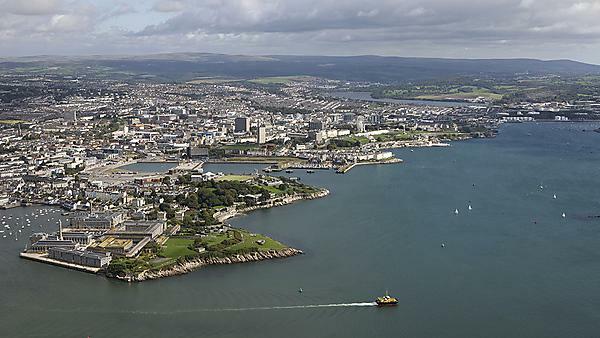 As one of our alumni you'll remember Plymouth’s dazzling waterfront, stunning natural harbour and proud maritime history. However, the city may have changed a lot since your graduation. If you haven’t returned to Plymouth for a few years then major changes – such as the Royal William Yard – are definitely worth taking in during your visit. Take a look at what the city has to offer you when you return. Our halls of residence summer accommodation is available from late June until early September each year, providing good quality city centre accommodation. The lodgings are well equipped with modern facilities and comfortable furnishings and there is a choice of single en-suite, double en-suite and single standard rooms available with all towels and bedding provided. Our en-suite accommodation has four star Visit Britain Quality Assurance scheme rating. Free internet access is also available during your stay. Please contact the residence life office directly at summeraccommodation@plymouth.ac.uk so that we can discuss your requirements with you. “We returned to Plymouth after over 20 years and it was fantastic to visit all the places we loved as students. The city and University have changed so much, but it was great to see that we hadn't other than our recovery time after clubbing and kebabs was slightly longer!" “The Alumni team were extremely helpful, in both the run up and on the day, in making our reunion a success and it was great to see our course mates and Plymouth once more."